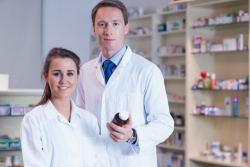 At Cocoa Beach Discount Pharmacy, we want to make sure that we are providing you with accurate MTM services – this is why you will first meet and consult with one of our pharmacists. During this consultation, all necessary information will be discussed –your personal information, health condition, current prescriptions, and etc. These are all needed so that we can conclude on what kind of assistance we can give to you and so that we can personalize your medication therapy plan. For more information, please call us now at 321-799-2030 or stop by and come see us today!